With the unfortunate folding of WPS team, St. Louis Athletica announced 2 weeks ago, all the Athletica players became free agents. 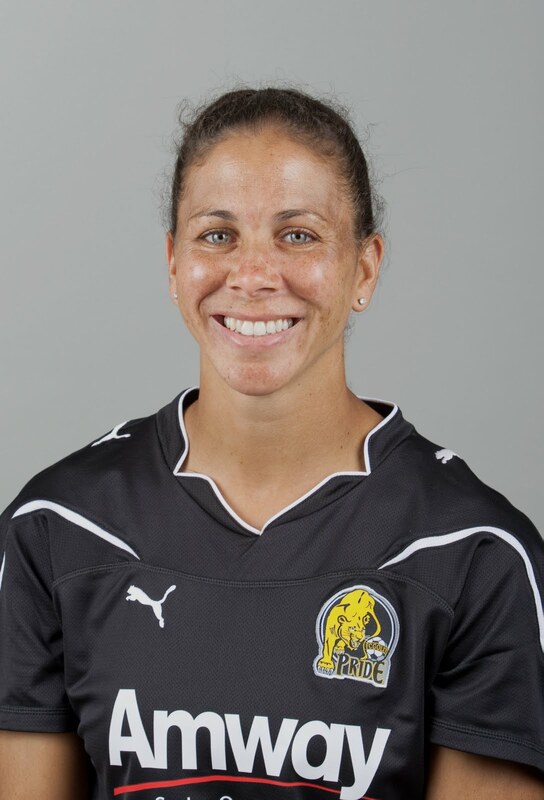 FC Gold Pride was able to sign an agreement with US Women's National Team star, Shannon Boxx! 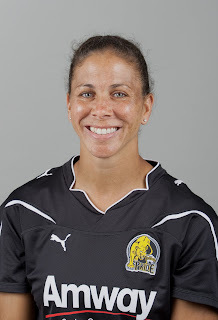 So, before the game last Saturday, I took a head shot of Gold Pride's newest player! She was so nice, friendly, easy to work with, taking time out of her warm-up to sit for me. 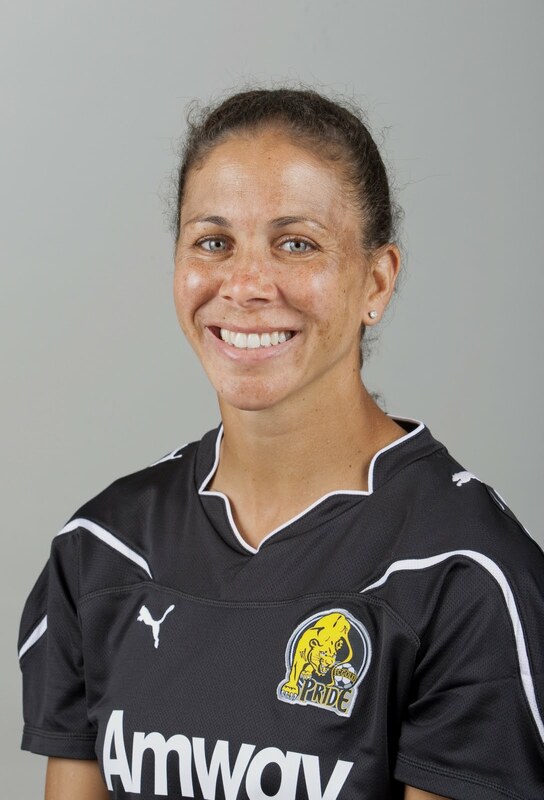 Incredible to think the she's a gold medalist, 2005 3rd place FIFA player of the year, and veteran national team superstar, with ZERO ego.